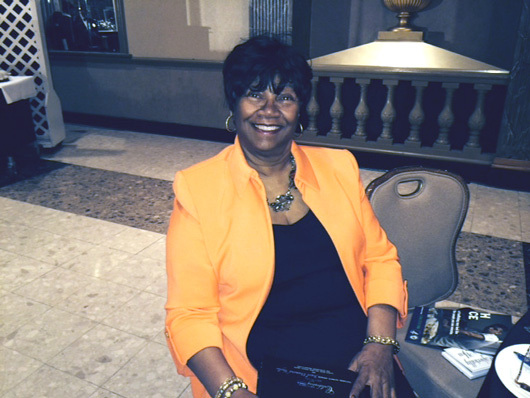 Paulette G. Davis, founder of the Christian Giving Circle. Inc. had a passion for helping people. She saw the need to give assistance to those who faced hardships where a minimum amount of money or service would make a difference in their lives. After spending 34 years as a teacher in D.C. Public Schools, she observed numerous situations and levels of poverty that impeded the success of many students. For years she was saddened, often to tears by news reports about people’s struggles. A Daily Word message prompted her decision to start a giving circle. The message said, “Genuine caring reaches beyond feelings to actions; caring isn’t worth much unless something happens as a result of it, and love without deeds is useless.” She knew then what must happen. Paulette also had another experience that prompted her to talk to God. She was robbed three times at the same school. After the third horrific robbery, Paulette knew God had spared her life for a reason. A gun to her head and stomach, and a knife swung so close that it could cut her in half, brought the reality of the true meaning of God’s blessing. The guns were never discharged nor did the knife touch her body. She had been literally protected by God. Paulette decided to ask God what He wanted her to do with the rest of her life. The concept of a Giving Circle emerged. Paulette wrote some names on a piece of paper and put it in her Bible. She prayed over those names for a about a year. As her heart guided her, some names were added, others were deleted from the list. She knew that she wanted ladies who felt as she did about helping God’s children. It was important to pool resources, money and talents from all members. The ladies were invited to lunch at Paulette’s house. At this time, the motto of “We can’t do everything, but together we can do something” was introduced. It was also her desire to keep the financial obligation affordable. This would allow women of all financial backgrounds to participate. We can’t do everything, but together we can do something.